Perfectly located in the centre of Martinborough Wine Village, Northcote is an ideal base for your holiday. Retaining its rich design and character, this bungalow features an open fire, polished wooden floors, and an extensive array of original art works. There are 2 bathrooms - one with a deep claw foot bath and the other, a free standing shower. Step through the original galley kitchen to the cutest little breakfast room, with French doors opening on to the rear deck. This overlooks a large back lawn with established gardens. It's fully fenced too, great for the kids and the dog! Located just off the square and opposite the children's playground, it's only a minutes walk to the cafes and restaurants, cinema and shops. Min rates may apply to all peak and holiday periods. Lovely character home - big deck outside to sit in the sun, and an open fire to sit by at night. Fully fenced for our wee doggy. Loved staying here, the children and dog were happy running round in the garden- no escapees! Very comfy, thanks, and close to play park and centre of the village. Location is fantastic and very central. The property was clean and tidy, which provided all the facilities to support a family of six. 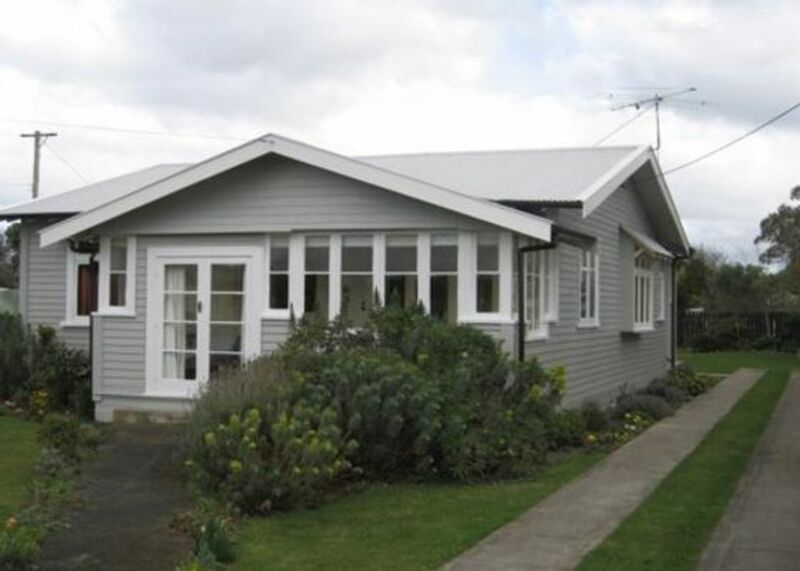 The property was clean and tidy, which provided all the facilities to support a family of six. Would have no hesitation in recommending this property to anyone wishing to stay for a few nights in Marinborough. Great place! Superb location! All around great stay thank you!